Enjoy the seasons of Summerhaven! This Mt. Lemmon land for sale is a fabulous deal! This Mt. Lemmon land for sale just a short, 10 minute walk to restaurants and the community center in the charming village of Summerhaven in Tucson, AZ. This Mt. Lemmon land for sale has great, year-around, very easy access from a paved county road that leads directly to the property. Utilities (electric, water & telephone) are accessible for building. This Mt. Lemmon land for sale serves as the ideal escape from Tucson’s summer heat (about 25 degrees cooler year-around), and offers fabulous winter recreation including sledding, snowboarding and skiing at Summerhaven’s peak, just minutes away! If you are in the market for Mt. Lemmon land for sale, this property is for you! It’s located in a quiet area. Your tranquil, custom dream cabin awaits. Elevation is approximately 8,000 ft., Mount Lemmon is approximately 25 degrees cooler than nearby Tucson, which is less than an hour away. 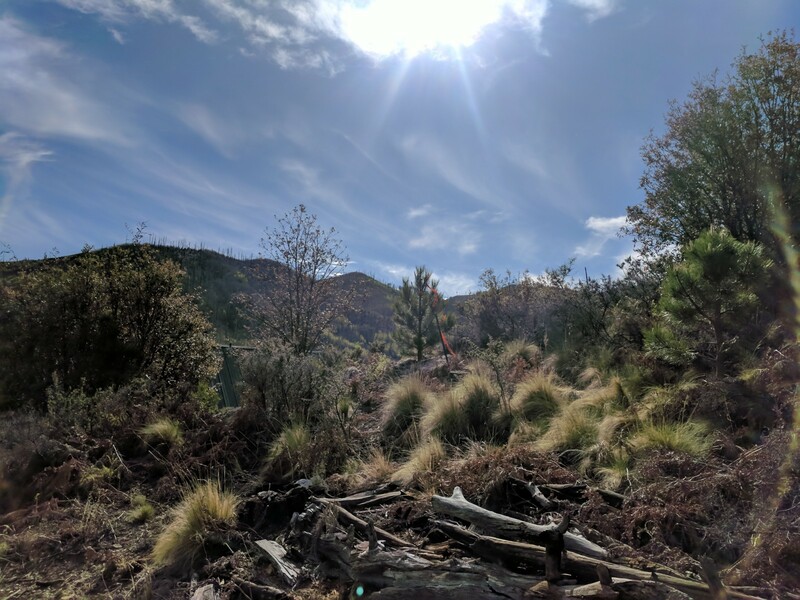 Located in the Santa Catalina Range, Mt. Lemmon is surrounded by the Coronado National Forest and home to a town befitting the name, Summerhaven. Explore various trails, eat homemade fudge and cookies, and escape the hat of the summer and even sled, snowboard or ski in the winter pines during the season. On your way to the Mt. Lemmon’s Peak, you’ll drive along the 27-mile scenic byway (a favorite trek for cyclists). During the summer, hike the trails, camp under the dark skies (there’s an observatory on the mountain because of the particularly dark skies), fish at Rose Canyon Lake, bird, or even rock climb. Definitely get there early, as this is a popular retreat from the heat. When snow is on the ground, head up to the 8,000-foot elevation for skiing, snowboarding, sledding, and snowshoeing. The University of Arizona Mount Lemmon SkyCenter Observatory houses the US’s largest dedicated public telescopes and hosts year-round nightly stargazing programs. After a day of exploring various life zones, dive into the cosmos and experience the vastness of the universe with a clarity most people never get to see. This Mt. Lemmon lot for sale has so much to offer at fabulous pricing!